In an open letter written to Canadian Prime Minister Stephen Harper, some 800 scientists from around the world are calling for an end to "burdensome restrictions on scientific communication and collaboration faced by Canadian government scientists." Top image: Oilsands development in Northern Alberta. Credit: Chris Kolaczan/Shutterstock. The letter was put together by the Union of Concerned Scientists, a group that represents U.S. scientists and uses science to advocate for environmental sustainability. It was signed by more than 800 scientists outside Canada from 32 countries. As scientists outside of Canada committed to international cooperation in confronting threats to the planet and human health, we urge you to remove excessive and burdensome restrictions and barriers to scientific communication and collaboration faced by Canadian government scientists. Meeting today's complex environmental and public health challenges requires the full participation of scientists around the globe. But recent reports highlight a rapid decline in freedoms and funding extended to Canadian government scientists, which make it more difficult for them to continue research, communicate scientific information and expertise, and collaborate internationally. A recent New York Times editorial, referencing the rapid development of the Alberta oil sands, went so far as to describe new communications restrictions on government scientists as "an attempt to guarantee public ignorance." According to the CBC, the letter is being promoted in Canadian newspaper and online ads paid for by the Professional Institute of the Public Service of Canada, an organization that represents more than 15,000 federal government scientists. In response, the Canadian government noted its "record investments in science, technology and innovation," adding that Canada is first among G7 countries for its support of research and development at its colleges, universities "and other research institutes." Research conducted by federal government departments was not mentioned. The Canadian feds are unabashedly dodging the issue. 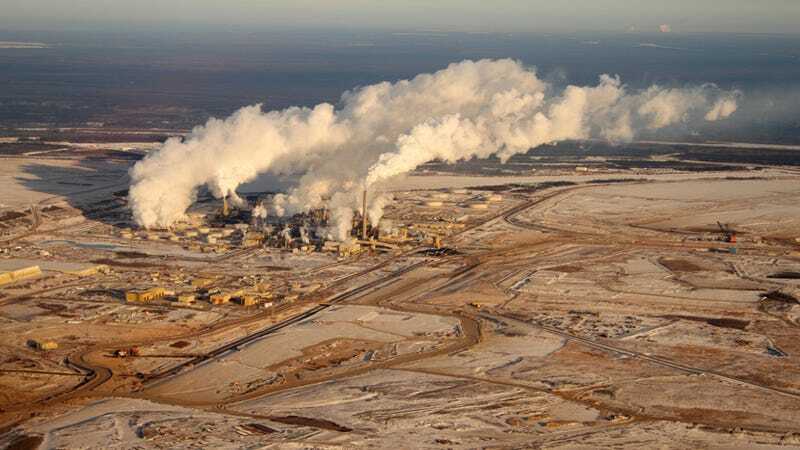 But it's no secret that the Harper Conservatives are going out of their way to inhibit any research, along with the dissemination of it, that might undermine its efforts to transform Canada into a greenhouse-gas-spewing petrostate. For example, the government has made dramatic cuts to programs that collect Canadian air pollution and climate monitoring data. Also, government scientists are being restricted in terms of their ability to travel to international conferences where they might share their results to the larger global community. International collaboration has been severely stunted. But now, because the voices of Canadian scientists aren't being heard, the Union of Concerned Scientists have stepped up to the plate to inform the Harper government that the world has taken notice and that what it's doing is utterly unacceptable. Much more at the CBC.